Public policy decisions affect the lives of all Canadians. Increasing the knowledge of parliamentarians, and specifically the 197 Members of Parliament elected in 2015, helps to strengthen democracy in Canada. Each political party provides its candidates with its policy platform and messaging on campaign and communication issues. 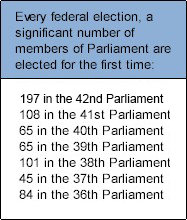 Nonetheless, the 197 newly elected members of Parliament face a significant learning curve following their election. They receive administrative and procedural orientation from Parliament. However, following the 2006 and 2008 general elections, there was no formal policy orientation offered to newly elected members of Parliament. This contrasts significantly with support offered to elected representatives in other countries. In the U.S., for example, the Congressional Research Service takes newly elected members of Congress and their families to Colonial Williamsburg for a four-day seminar to examine domestic and foreign policy issues from a legislative perspective in a balanced and bipartisan setting. Harvard University’s Institute of Politics located within the John F. Kennedy School of Government invites newly elected members of Congress and spouses for a three-and-a-half-day bipartisan program on such topics as the economy, budget and appropriations, foreign policy, health care, and education.